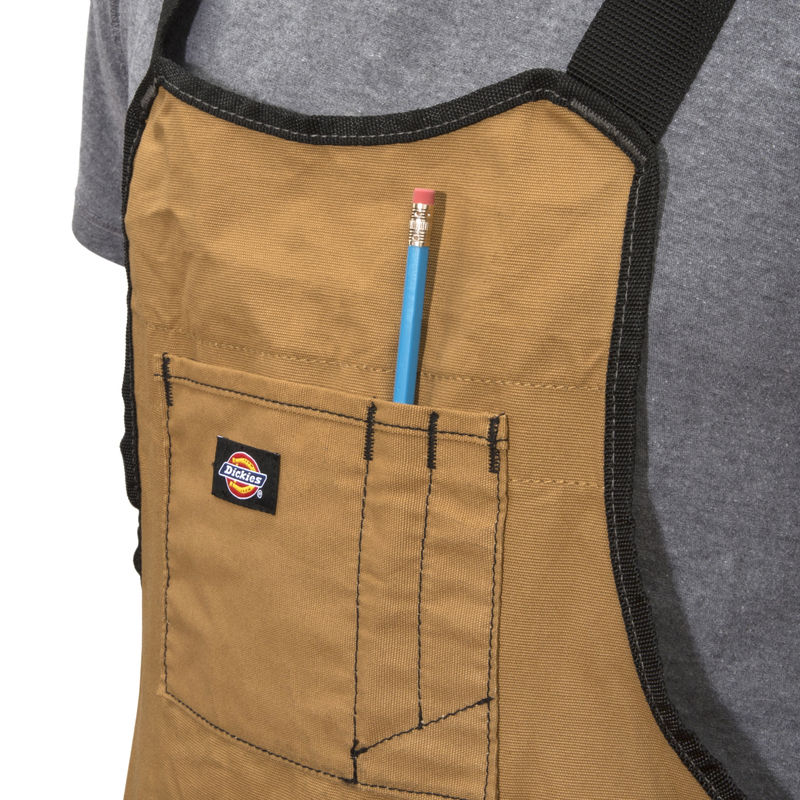 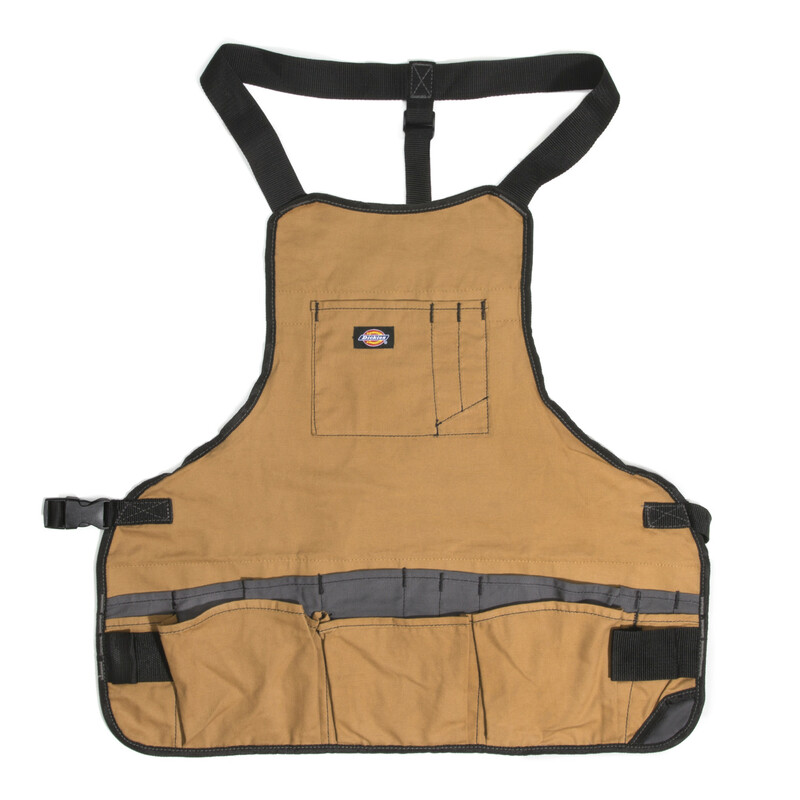 Instead of keeping all of you tools on the floor or inconveniently stored in separate tool boxes, keep them within reach with the Dickies Work Gear 57027 16-Pocket Bib Apron. 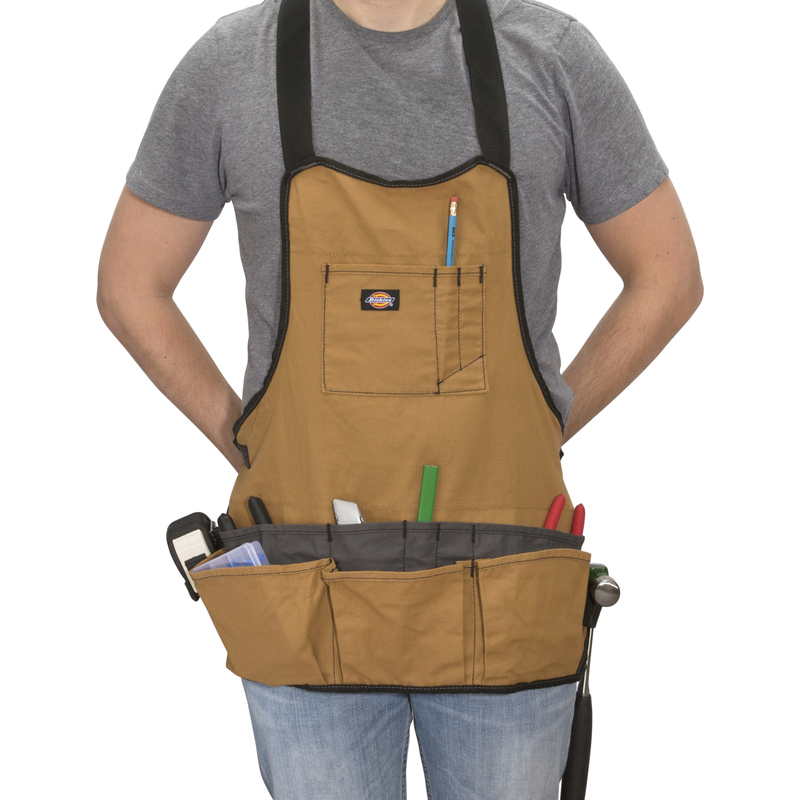 Constructed of heavy-duty gray and tan canvas, this apron features 1 large pocket for holding a notepad and 2 slim pockets for pencils and/or pens on the upper chest area. 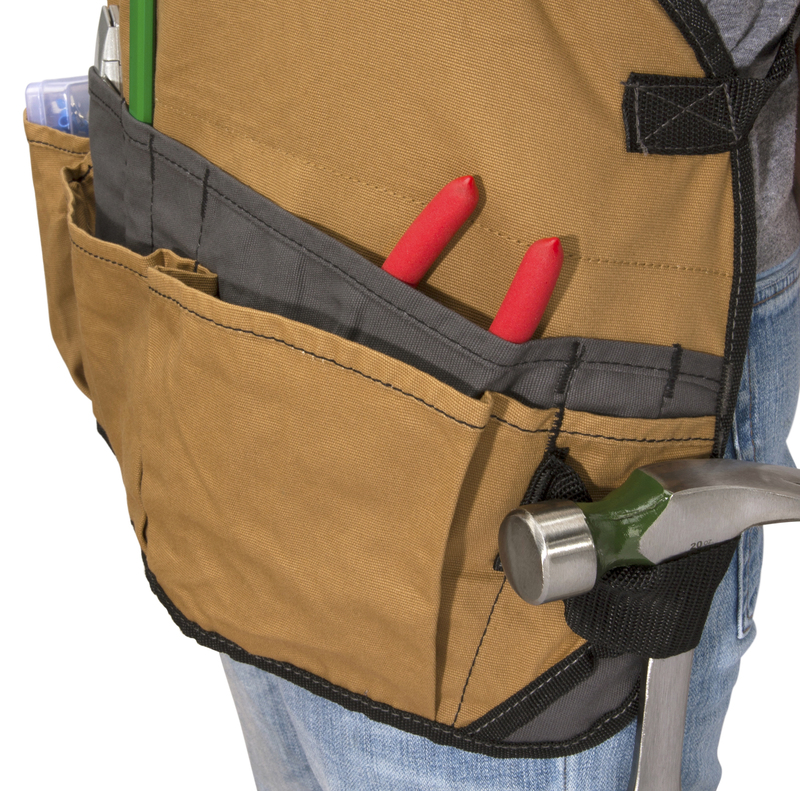 Down along the waist, there are 13 pockets of various sizes, perfect for hand tools, paint brushes, a measuring tape and other small bits and accessories in addition to 2 hammer loops. With fully-adjustable 2-inch shoulder straps and an adjustable webbing belt with plastic buckle, you can customize the fit to your needs.